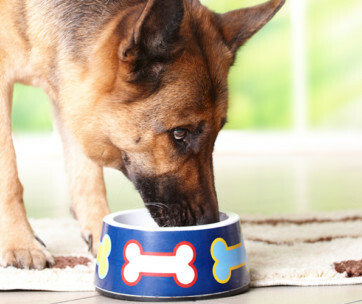 Our pets require only the best food for their nutrition and health. We may buy for them high-quality pet food, but if we neglect to store it the proper way then we undermine their nutrition. Pet food spoilage is one of the most common issues that pet parents face. That’s why it’s important that your pet food container comes with an airtight seal to help protect it against moisture. This is what IRIS’s Pet Food Container Combo offers. Mind you, the IRIS system is not a single pet food container, but two. 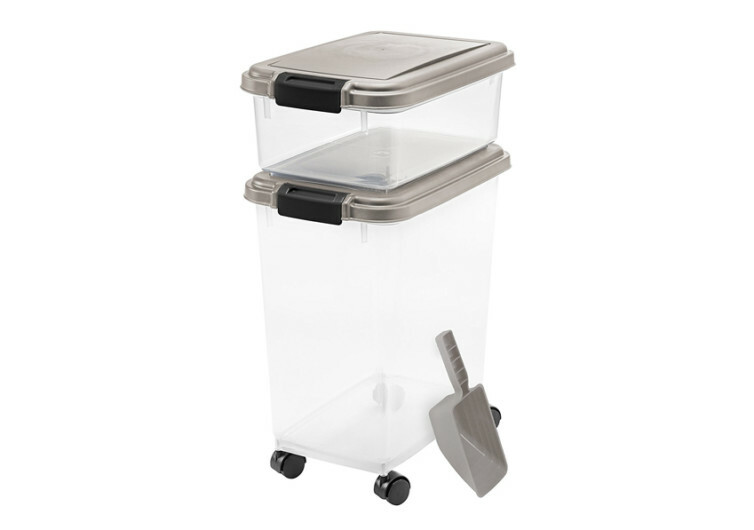 It comes with a larger 33-quart container and a smaller 12-quart container. 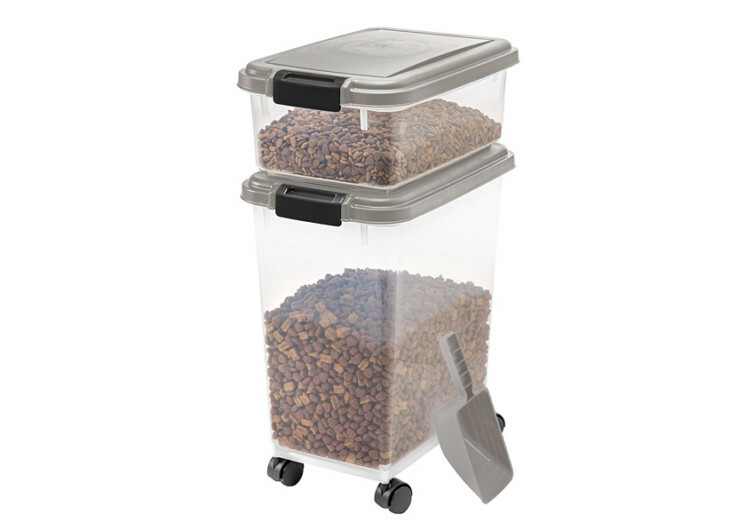 This is perfect for multi-pet households as you can separate the different pet food products. 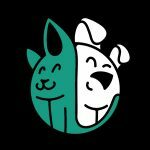 You can place large volume pet food in the larger container while filling the smaller container with other pet food products. Some pet parents put their wet pet food in the smaller container. The real gem in the IRIS system is the airtight seal that forms under each lid. 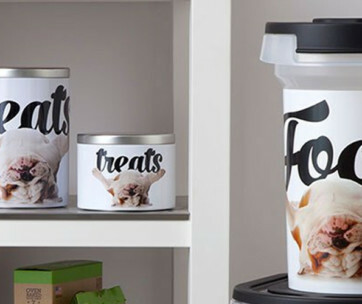 Unlike other containers, the seal in these pet food containers are thicker. This helps ensure a more secure fit into the grooves that line the edge of the container. It’s like having a LEGO building block that snaps into place. 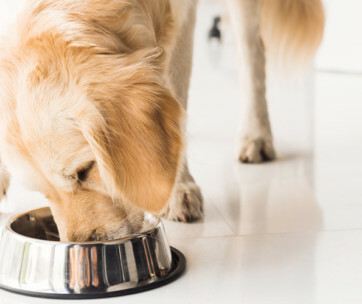 This is what guarantees that your pet food will stay fresh for a much longer period of time. 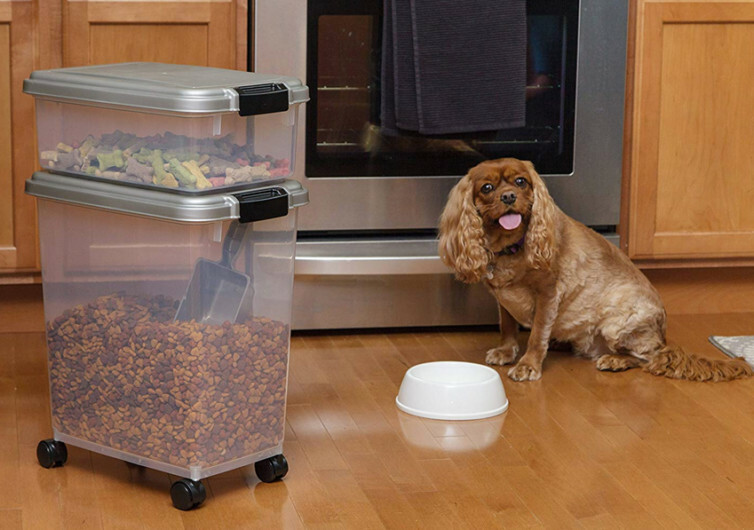 Both containers also come with snap lock latches that help secure your pet food. These latches are easy to operate, but can augment the airtight nature of the seal. Both also come with transparent chambers for easier visualization of the contents. There’s no guessing whether it’s time for a refill or not yet. 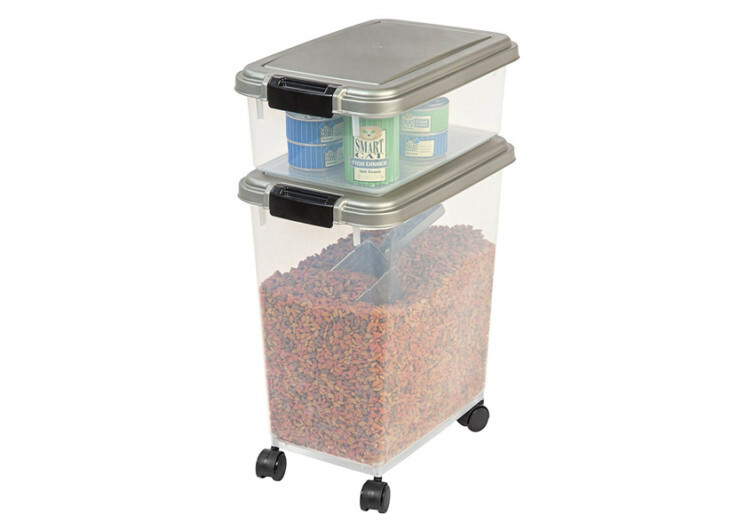 The larger IRIS pet food container comes with roller wheels. Since the container can hold up to 25 pounds of pet kibbles, it can be a chore to move it from place to place if it doesn’t have the wheels. 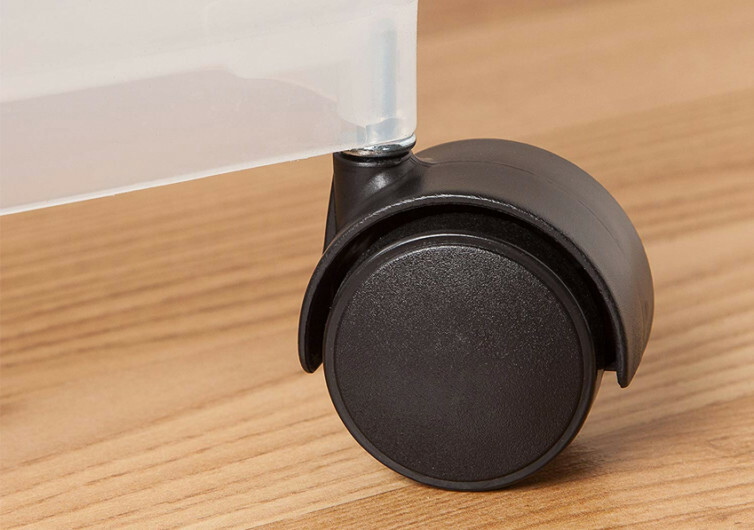 The casters feature 360-degree swiveling movement so maneuvering it in tight corners is easy. The containers come with BPA-free construction. This helps preserve the quality of the pet food that you are going to store in the bins. The system also comes with its own food scoop for more precise measurements and ease of food portioning. The IRIS Pet Food Container Combo answers the need for maintaining the quality and freshness of dry pet food. It’s a neat system for modern pet parents.